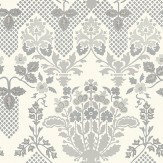 Founded in 1884, G P & J Baker has been producing beautiful prints and weaves for over 100 years and now bring this expertise to wallcoverings too. 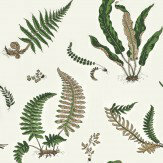 A re-working of their classic design, this beautiful Botanical etching style Fern motif, creates a perfect contemporary country look with clean fresh lines. Shown in indigo and teal. Other colourways are available. Please request a sample for a true colour match. 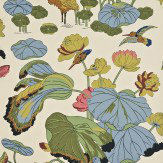 A large scale wallpaper design featuring stylised exotic flowers and leaves. Shown here in the deep indigo colourway. Other colourways are available. Please request a sample for a true colour match. Wide width roll. 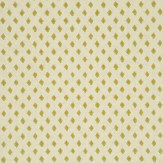 An elegant wallpaper design featuring a trailing geometric pattern. Shown here in the indigo and gold colourway. Other colourways are available. Please request a sample for a true colour match. Actual pattern repeat is 7cm. 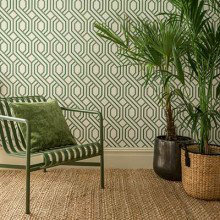 A beautiful tonal wallcovering giving the effect of grasscloth using metallic inks. Shown here in rich blues and greens. Other colourways are available. Please request a sample for a true colour match. Pattern repeat is 26.5cm. 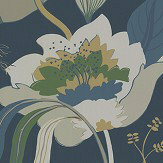 An all over wallpaper design featuring a large scale stylised flower pattern. Shown here in stone and dove. Other colourways are available. Please request a sample for a true colour match. Wide width product. Large pattern repeat. Paste-the-wall product. 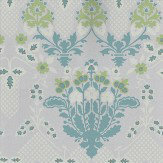 A detailed, decorative damask design featuring floral trails and small geometric patterns. Shown here in white and silver. Other colourways are available. Please request a sample for a true colour match. Pattern repeat is 70cm. Wide width product. Paste-the-wall product. Kingfishers flying above an egret who shelters beneath drooping lotus leaves. 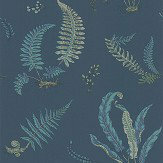 Shown in flat leafy-green tones with muted blue lowlights - more colours are available. Please request a sample for true match. 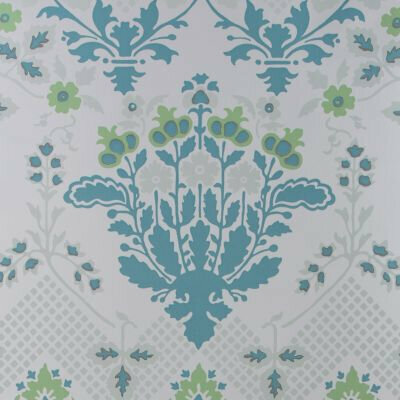 A re-working of their classic design, this beautiful Botanical etching style Fern motif, creates a perfect contemporary country look with clean fresh lines. Shown in green and cream. Other colourways are available. Please request a sample for a true colour match. Paste-the-wall product. 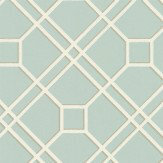 A beautiful white trellis print on a matte, aqua background. Other colourways available. This is a paste-the-wall product. Pattern repeat is actually 17.5cm not as shown below. Please request a sample for true colour match. 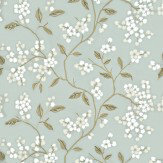 This delicate trailing branch design contrasts clusters of round petals with sharper leaf and branch forms. 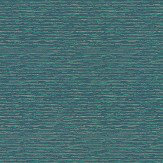 Shown here in aqua/gilver - more colours are available. Please request a sample for true match. 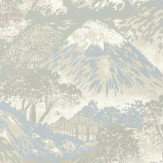 An updated version of a print first launched in 1915, this design depicts the stunning view of Mount Fuji from the city of Edo. 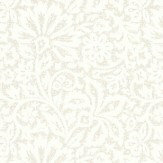 Shown here in an ivory and silver colourway. Other colourways available. This is a paste-the-wall product. Please request a sample for true colour match. 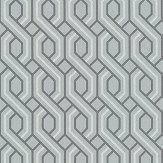 An all over wallpaper design featuring a large scale geometric, diamond motif pattern. 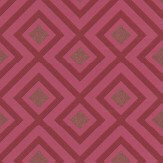 Shown here in berry and metallic gold. Other colourways are available. Please request a sample for a true colour match. Pattern repeat is 20.5cm. Paste-the-wall product. Kingfishers flying above an egret who shelters beneath drooping lotus leaves. Shown in the original colour way - more colours are available. Please request a sample for true match. Revisiting some of their Signature classics with a new, contemporary colour palette; rich teal blues and greens, and charcoal greys together with soft blush pinks and vintage creams. 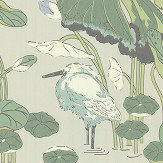 A beautiful new look at their wallpapers which is perfect for refreshing your home too! 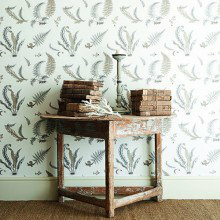 This beautiful collection of paste-the-wall wallcoverings is inspired by the 19th century's enthusiasm for the exotic. 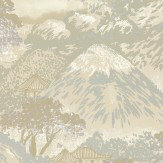 The designs feature influences from a variety of exciting sources such as a view towards Mount Fuji, animals on the plains of the Serengeti and Indian calicoes. A perfect collection to give a feel of Victorian adventure to your walls! This outstanding new collection of wallpapers from David Hicks, have been taken from archived patterns and given a modern feel with metallic inks and subtle, contemporary colours. GP & J Baker have worked in collaboration with Ashley Hicks, the son of David Hicks, to combine his father's strong style and vibrant colours with a gentler palette to create a more universal appeal. 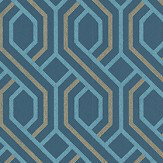 Designs range from striking geometric patterns to trailing florals. 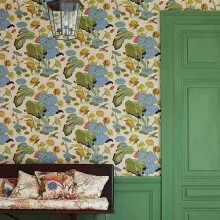 A paste-the-wall collection, means having these beautiful wallcoverings in your home could not be easier! 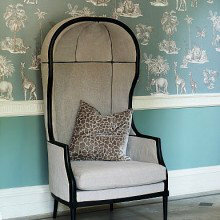 Traditional and classic, yet contemporary these beautiful wallcoverings are perfect for modern, country style living. Soft muted colours,small scale geometrics and damasks, together with simple stripes and delicate florals, together with their signature botanical Ferns design shown here. Crayford is a gloriously colourful collection from G P & J Baker. Inspired by historical documents, given a fresh interpretation, with a bold palette of colours including strong yellows and handsome mid-indigo blues. 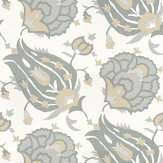 The patterns include large scale florals and bird designs together with pretty small scale patterns and stripes.